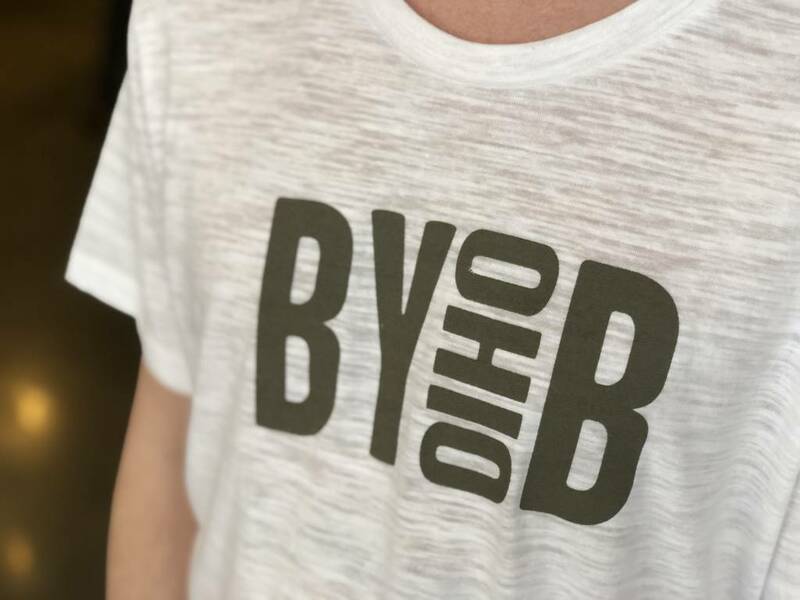 Poly-cotton, crewneck white t-shirt with BYOhioB logo on chest. 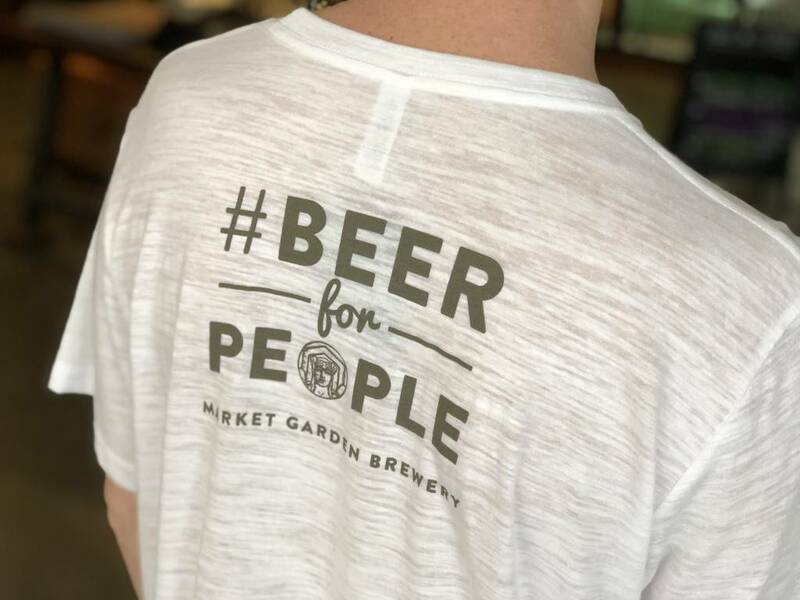 #BeerforPeople and MGB type logo on back. 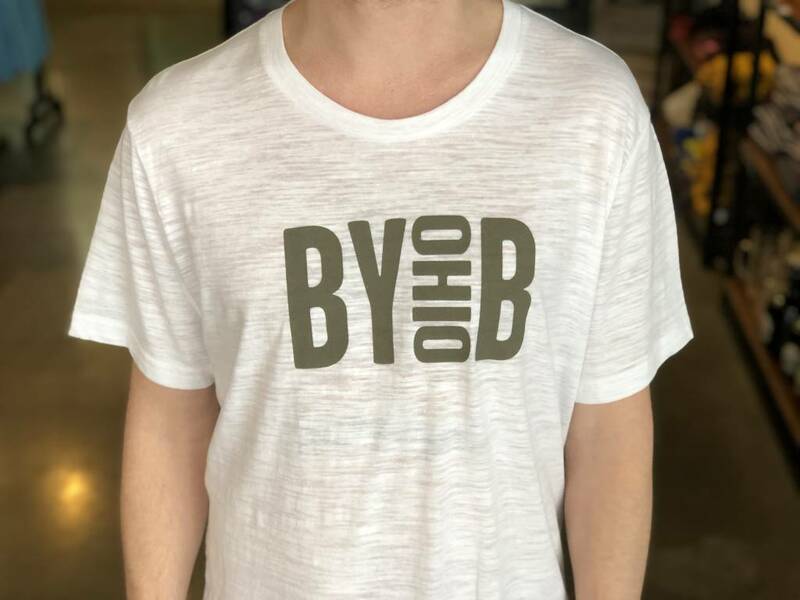 (50% polyester, 37.5% cotton, and 12.5% rayon).